Tendon disorders are a major problem in the general population. It is known that rotator cuff tendinopathy contributes to osteoarthritis (OA) of the shoulder. The aim of the study was to analyse the presence of tendinopathy in patients with shoulder OA and an intact rotator cuff, using a multimodal approach. Thirteen consecutive patients median age 67 (52–84) years, with OA of the shoulder, and 13 consecutive control patients, with a fracture of the proximal humerus, median age 70 (51–84) years, underwent an open biopsy procedure from the biceps and subscapularis tendon in conjunction with shoulder arthroplasty. In addition to a macroscopic evaluation, the samples underwent histologic, morphologic and ultrastructural analyses in light and transmission electron microscopy. Macroscopic degeneration was found in 15 of 26 specimen in the OA group but in seven of 25 in the control group (p = 0.048). The histologic analysis revealed a non-significant difference for the total degeneration score (TDS) between the study groups. The morphologic evaluation of the samples revealed that the OA group had significantly more samples with non-homogeneous extracellular matrix (ECM), (p = 0.048). Ultrastructurally, the OA group revealed a significantly larger fibril diameter in the biceps tendon (p < 0.0001) but not in the subscapularis tendon compared with the control group. A significantly worse macroscopic appearance and significantly more morphologically inhomogeneous ECM, indicating more tendon degeneration, were found in the OA group compared with the control group. This indicates that it could be beneficial to treat the tendinosis in an early stage to decrease symptoms from the OA. The original version of this article was revised: The given name and the family name of the authors were incorrectly identified in the original article. A correction to this article is available online at https://doi.org/10.1007/s00167-018-5250-6. 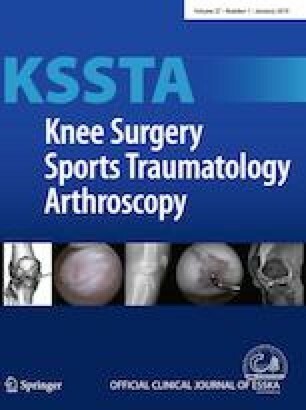 One of the authors J.K. has received remuneration for knee related lecturing from Linvatec Sweden not related to the work. Ethical regional committee for medical research approval number REK Sør-øst B 2014/1773.